Previous article Apple Cider Vinegar: What Does It Really Do For You? Apple Cider Vinegar: What Does It Really Do For You? We have all seen the gorgeous complexion of Miranda Kerr and Scarlett Johansson as well as Heidi Klum’s amazing figure. This does not just come along with fame, so what is their secret? Well we could assume that they use high-end facial products and have personal trainers, but it is actually much less expensive and simpler than that. Apple Cider Vinegar is their secret. Well, not such a hidden fact anymore. Over the past few years several celebrities have disclosed in interviews that they swear by incorporating Apple Cider Vinegar into their daily routines. They do this in several ways whether it be making a tonic before meals in the morning, adding a teaspoon or two to their salad dressing, or even by using it topically. We are familiar with the hype of green drinks, cleanses, and fermented drinks such as Kombucha, but Apple Cider Vinegar seems to be the most practical. It serves as a natural agent that is actually a common household item with numerous benefits both internally, externally for your body, and even your living space. As with anything, there are going to be scientifically proven claims, false claims, and everything in between, but after careful review of testimonials and reading up on studies that have been done all over the world, this seems like a reliable product. The best part is, there are no harmful side effects when used in proper moderation so you really should have no concerns. That being said, we have put together a list of about eight benefits and uses that you may leave you with no choice other than to give it a try! Apple Cider Vinegar is great for people that suffer from Type 2 diabetes. It is actually said to work in the same way as many medications. Diabetics participated in a study in which they were very impressed with their results. By consuming two tablespoons of Apple Cider Vinegar before bed, their glucose levels had dropped significantly by the morning time. Whether you have diabetes or not, the anti glycemic factor of the acid is helpful to stabilizing blood sugar levels and overall health. The power of probiotics is well-known and is very prevalent in yogurt and fermented products. Many times you will reach for a cup of yogurt as a nice source of probiotics over sauerkraut, but why not just down a tablespoon or two of Apple Cider Vinegar to get the job done. This vinegar not only aids in digestion but it also helps out the liver and the spleen. Going hand in hand with the above benefit of supporting digestion. If you consume Apple Cider Vinegar about 30 minutes prior to consuming a meal you will be much less likely to indulge in other harmful cravings that usually spike up throughout the day. According to Heidi Klum, her cravings can be curbed with a simple whiff of the substance. Well with the understanding that this natural substance can support digestion and curb cravings, it is bound to have some effect on weight loss. 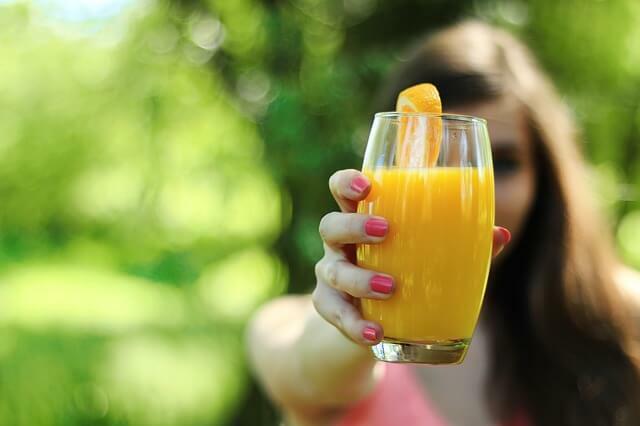 There have been studies done to prove that those that consumed 1 to 2 tablespoons each morning lost more weight than those that did not partake in this routine. The participants in the study all had a relatively similar diet and exercise schedule, leading the observers to believe that the Apple cider vinegar did indeed play a role in getting rid of unwanted pounds. The acetic acid that the Apple cider vinegar contains can actually block some of the carbohydrates that you consume by interfering with the enzymes while in the stomach, in turn hindering your body’s ability to absorb these carbs. This does not mean that you can have a major carbo load and come up with an equation to cancel it out with vinegar, but in small amounts this cancellation process can most definitely take place. Keeping up with a several step skin care regimen can often be a pain; using an Apple Cider Vinegar toner might the all you need (along with a nice moisturizer of course). I don’t know about you, but making sure that my skin is replenished daily, weighs in pretty high on my list of priorities. After reading testimonials made by Scarlett Johansson I am convinced. Not only is this a natural and chemical free alternative to other toners, but it gives your skin a nice breather and break from most intense dermatologist recommended products. Keep in mind that this does not to be used every night and definitely not if you will be spending the night out because it does have a little vinegar stink to it. This may not be one of your main concerns, but it is always nice to know of a simple go to remedy when you suffer from hiccups. Some people actually suffer from them pretty severely. The sour taste of the vinegar actually stimulates the nerves which stops the spasms in turn immediately getting rid of your hiccups. There are numerous natural remedies to help cure a sore throat and stuffy nose out there, but have you ever tried vinegar? We all know that vinegar is not a subtle substance by any means, it fact it is very potent. The acidic factor makes it nearly impossible for germs to survive. The minute you starts to feel groggy, a tickle in your throat, or a sniffle be sure and have a couple spoonful’s of Apple Cider Vinegar, after all it can’t do any harm! Simply gargling a bit mixed with some warm water can get the job done. Just as vinegar’s role in killing of germs in your body when you have a sickness coming on, it can rid your kitchen and household of germs as well. It not only kills germs but can inhibit bacteria from growing as well. Overall it seems like Apple Cider Vinegar brings a lot to the table. From health benefits, to skin care, to household cleanliness you are set! Now all it takes is getting over the smell and making it a part of your daily routine. For general health purposes mixing one to two tablespoons in a cup of warm water every morning or adding it to your salad dressing are great ways of making it a normal ingredient daily. “Apple Cider Vinegar: 13 Health Benefits | Reader's Digest.” Readers Digest. Web. “Celebrities That Use Apple Cider Vinegar – ACV.” The Apple Cider Vinegar Hub. 26 June 2013. Web. Gunnars, Kris. “6 Proven Benefits of Apple Cider Vinegar (No. 3 Is Best).”Authority Nutrition. 22 Mar. 2016. Web. Magee, Elaine. “Apple Cider Vinegar and Your Health.” WebMD. WebMD, 1 Oct. 2014. Web. MailOnline, Bianca London for. “Forget Green Juice, the Secret to Health and Glowing Skin Is Drinking VINEGAR – and Now Megan Fox and Miranda Kerr's Favourite ‘ferments' Are Going Mainstream.” Mail Online. Associated Newspapers, 2014. Web. Next article Apple Cider Vinegar: What Does It Really Do For You? Waking up to your alarm each morning and heading straight for the kitchen to get the coffee brewing is a part of America’s daily routine. If that is not the case, we just run by the drive-through of our favorite coffee shop on our way to any event that we are attending that day. The invention of the insanely convenient Keurig coffee machine simplified this process even further for many. All one has to do is keep fresh water in one compartment, drop in a plastic pod, and with the click of a button your coffee is made to any size cup you need. Recently, we have been introduced to similar technology known as Juicero. Juicero is the first cold-pressed juicing machine that creates a glass of juice right in your own kitchen. The labor that goes into going to the store, gathering produce that will perish if not used in a timely manner, purchasing a juicer that can be relatively pricey, and taking the time to juice your own juice, is no longer an issues. Juicero is similar to a Keurig in that it generates a healthful glass of fruits and vegetables that should be consumed daily, simply by the push of a button. You begin by downloading the Juicero application, this syncs with your press and will keep you on track. The Juicero machine is a clean looking piece of technology that sits right on your countertop. You open the face of the machine, place a Juicero packet in the slot, shut the door, slide a glass underneath, and press the button. Boom! It is ready that easily. The packets that you place in the machine to be cold-pressed are mailed to you and kept track of through the application. It has the ability to keep track of which ones you have ordered recently and when you are running low on a certain flavor. You have the option to restock at anytime and your very own personalized orders will arrive right at your doorstep. What Are In The Packets? Depending on what you choose, each packet is filled with 100 percent organic and natural fruits and vegetables. These have a shelf life of about 6 days each. The pouches include a grade in their lining to keep the remnants from the produce from entering your glass leaving you with a smooth freshly pressed experience each time. Also, on each packet there is a code that can be researched so that you are educated on where the produce was farmed and other information regarding the fruits and veggies in that very pack. How Local Is This Produce? We are all big fans of local produce, which is always a convincing reason to make a trip to gathering your produce at the town farmer’s market rather than your everyday grocer. Each farm that harvests the produce that is used in these packs were hand picked for their flavor, high-quality organic nature, and location. Seeing as how Juicero was originally founded in Northern California and now rooted there as well, the community of growers all reside in California, providing local nutrition. Don’t forget the clever aspect is that with your Juicero application you will be able to tell exactly where the juice packet you drank that morning came from. Who Is The Master Mind? The man behind all of this goes by the name of Doug Evans. As the founder of Juicero, he hopes to foster the innovations and creativity necessary to get the proper produce and juice into each of our kitchens. With a history in organics and commitment to a vegan lifestyle himself, he is a great mentor behind the inspiration for all of us to get into healthy routine, which in turn will give us the best life ever. With all of that info, I am sure you are pretty convinced on this brand new technology as were we. We all know the struggle of consuming that daily amount of fruits and vegetables needed to obtain a healthy diet and lifestyle. Juicero, the convenient juicer right in your kitchen, makes it easy. All of the points discussed above seem to lead us no choice but to want to save up and make it our next big purchase. As with anything, there is a little controversy so let us take a look at that. The first being compostable bags. As of right now, the packs that you spend a good amount of money on for pressing your 8 ounce juice everyday, is not very eco-friendly. The founder hopes to make the packs 100 percent compostable, but as for now they are not. This is amongst one of the larger complaints seeing as how eco-friendly driven we are especially when it comes to topics such as organics. Another big issue is the cost. Although this is a complaint, one must remember there is almost always a cost for convenience. Once you pay the initial cost for the Juicero technology itself, in order to keep fresh packs handy you will be paying weekly costs for those. They tend to be a little pricier at $7 to $10 per juicing pack. For some, driving to the nearest juice bar (if there is one near) does not seem worth the cost difference. The last issue that has been brought to our attention is that since the Juicero is so new they are not shipping nationwide yet. Just like the beginning of any innovation, it will take time. This machine and program is currently available in California from San Francisco to Los Angeles. This might be frustrating to those of you that do not reside in California, but do not worry, it will be making it’s way to a place near you as soon as possible. Now that we have had both sides if the Juicero story, it is up to you. Whether you decided to look further into saving up for this new technology or simply make a conscious effort to consume more fruits and veggies in your daily meals, the bottom line is your health. Take the steps you need to take to be your best self and you will be well on your way! “Juicero – Organic, Cold-pressing Juice at Home.” Juicero. Web. “What You Need to Know about Juicero, the New Controversial Juicer.” Well Good. 2016. Web. Skinny Fiber Diet is a supplement sold by SkinnyBodyCare.com. The starter pack bottle is currently sold on their website for $59.99 (30% off original price) for a limited time and on Amazon for a discounted price. But who knows how long a limited time price lasts these days? Keep in mind when looking at deals on products that are advertised in this way, that if there is no given date that the offer ends, chances are that it is a marketing ploy to get you to make the purchase sooner. The website features three other products by the names of SkinnyBodMAX, HiBurn8, and Instant Youth. The website includes the home sales page and a page with ingredients that pertain to Skinny Fiber. 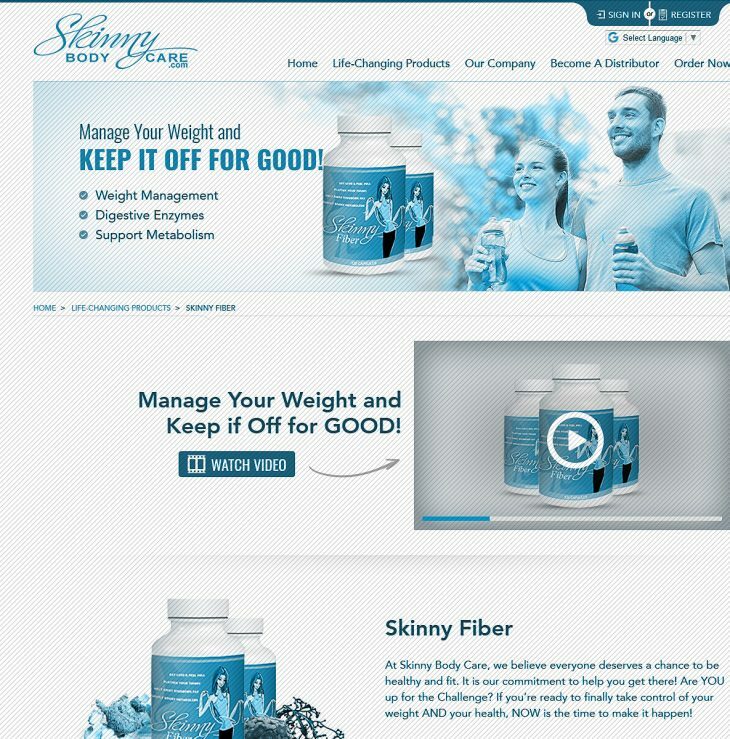 The other pages are dedicated to each of the other products on the market by Skinny Body Care. That being said, there is very little information on the product and its effectiveness. They use a five-minute video and three testimonial images on their sales page to give the consumer brief information about the product. According to Skinny Body Care, the most important key to losing weight is making sure that your body is in the right condition to lose weight. According to Skinny Fiber representatives, no matter how much one alters their diet and exercise routine, if your body is not fortified with the proper nutrients, the chances of finding success in weight loss is slim. Sure you can make statements like that, but there is no scientific evidence to prove that their product is what will give your body the proper nutrients. There is very limited information on this product. The most information provided is regarding the ingredients used in the product itself. In fact, when you search the product there is more detailed information on sites that have reviewed the product rather than the actual company page. This product has been around for about 7 years and only has three testimonials to share? This is not a good sign. If the product was the effective, there would be plenty of information to share about it on it’s very own sales page. They advertise a 90-day challenge all over the web page. This challenge is carried out by taking a photo of yourself prior to starting the diet pills, taking the pills for 90 days straight, then sending in an after photo. Mind you, in order to carry out this challenge you would have to purchase multiple bottles. For a simple step up from plain fiber, these bottles definitely add up to be pretty costly. What makes this fiber pills so much better than your average fiber that you can buy at any grocery store? Skinny Fiber supplements claim to be the most effective product on the market as well as the safest. Most times when a product can claim it is “safest”, it is not very effective. They promote healthy weight management, proprietary formula, support health and detoxification, provide antioxidant properties, etc. Just to clarify a proprietary formula is a term used when there are no active ingredients in the supplement. There is very little product detail, all we are given are a few before and after images and the ingredients of the product. The main ingredient is Glucomannan. This is listed as a natural dietary fiber that “expands your stomach and makes you eat less” (SkinnyFiberDiet.com). Along with Glucomannan, they claim that their product is made up of two other appetite suppressants, and the key component being enzymes. 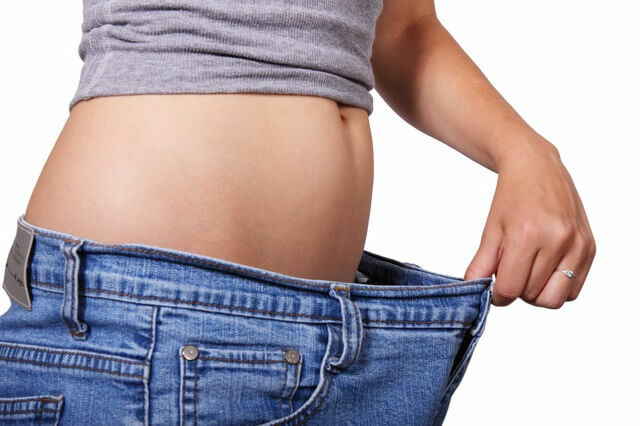 According to this diet, with the proper enzymes being consumed our bodies should be able to function fully and shed unwanted pounds as efficiently as possible. Well yes, we can agree that if our body that is in the proper condition and health it should be able to make something of weight loss. The issue here is that some simple fiber pills are not the only thing needed to maintain weight loss. Exercise and proper nutrition are crucial. Skinny Fiber does not offer these important factors, therefore it will not suffice. Does Skinny Fiber Have Scientific Backing? Not very surprising, but there is not any scientific backing provided for the supplements. They list the ingredients along with a brief description of what each ingredient is, but no scientific resources to back their claims. They claim that the enzymes our bodies will receive from taking the supplement, will help our bodies to function at it’s best ability. Yes, we are aware that digestive enzymes can come in the form of supplement and capsules but the issue here is that the amount we should be taking is all relative to the foods we consume. To generalize and just take a fiber capsule that has these enzymes once a day and then adjusted to twice a day is not how these enzymes are designed to work. That being said, there is no scientific research to explain the enzymes that are included in the ingredients, so how do we know that this is really the case? Does this fiber supplement bring everything into balance that easily? That’s just it, it’s a risky 50/50. Is Skinny Fiber Effective For Weight Loss? As far as being effective, the Glucomannan seems to be their only claim to fame. Rather than treating this supplement as a daily go-to, many consumers found that when they did stick to taking it from time-to-time they would feel full for a longer period of time. However, feeling full for a longer period of time (which is not guaranteed to occur for all) is not a solution for weight loss. For long term weight loss you will need a balanced nutritional plan and exercise routine to keep you on track. A supplement might be an added factor to help achieve your goals, but it will not be the solution on it’s own. What Are Skinny Fiber's Side Effects? There are not many side effects to be aware of as they do not explicitly warn you of any. Considering the product seems to be not much more than a glamorized fiber product that you can find at any market for under $10, lack of explicit side effects makes sense. Not until you start going through the process of purchasing the product, you are given the option for support. They give you a phone number (817) 479-9198 in which you can contact their staff for support, to tell about your experience, or to gather further knowledge (or so they say). In the several calls I have made to this phone line, they have an automated machine that says all of the representatives are busy or that you have reached them outside of business hours. In calling several times and getting the same response I have no choice but to think, they do not actually take calls over the phone. I find this to be extremely frustrating. If I am a customer looking to purchase your product and want to be assured that I am making the right choice and you do not have anyone available to help, it is alarming. I do not know about you but that automatically puts doubt in my mind about following through with the purchase. They refer you to contact their [email protected] email. If a client is really looking to get immediate feedback and feel confident in their purchase, this sort of delayed response is not ideal. There is also a “contact us” form in which you can fill out your information and send them a message. There is no specified turnaround time on the response using this method either. Therefore, who knows when you will get an informative response? As far as their money back and return policy. They claim to offer a 100% Money Back Guarantee (not including the shipping and handling costs) if it is your first product purchase and is returned within 30 days of the purchase date and a little bit longer grace period if multiple purchases are made in the same month. Well after experiencing their lack of customer support, I would be very skeptical about getting that Money Back Guarantee after all. Skinny Fiber Diet is a supplement program that claims to help you lose weight by suppressing your appetite and balancing the enzymes in your body. However, as I looked into this product more, it is indeed just a glorified fiber pill. You can go to your local grocer and get a large tin of fiber powder for under $10. Skinny Fiber goes to say that they’re product is more beneficial than just the fiber due to the enzymes that it provides your body with. Yes, digestive enzymes are great and sometimes our bodies need a little extra assistance, but by taking these pills once and eventually twice a day you are not making the proper adjustments. The dosage of enzymes should be based on the foods that you are consuming. Aside from the faulty generalized dosage of the pills, they are not made of any active ingredients, therefore how are any changes being made? Truth is they are not. Lastly, the lack of customer support when you call their phone line is not ideal when you purchase an item like this online. You never know when you need to get ahold of a representative and when they just direct you to an email address with an automated response right off the bat, is just not promising. Overall, for those of you that are looking to get rid of bloating, have your body and enzymes functioning properly, gain energy, and lose unwanted pounds, I suggest you look into another program. “Enzyme Dosing Guidelines.” Enzyme Dosing Guidelines. N.p.. N.d. Web. “Skinny Fiber Online Sale.” Skinny Fiber Online Sale. Web. “Skinny Fiber Diet Pills for Weight Loss.” Amazon.com. Web. “Skinny Fiber Review | Does It Work?, Side Effects, Buy Skinny Fiber.” Diet Spotlight. 2011. Web. Rip 60 is an exercise program that claims to get you ripped and in shape in as fast as 60 days time. Is this program really all that it's cracked up to be? 2 Does “Rip 60” Have Scientific Backing? 3 Is “Rip 60” Effective in Weight Loss? 4 What are “Rip 60” Side Effects? Rip 60 is a workout plan that uses at home equipment installments, videos, and recipes to try and assist people achieve their “dream body” in 60 days. That claim right there is an exaggerated statement that automatically has me skeptical of the program. This workout is often compared to P90x and is featured on several websites including Amazon and other equipment websites such as Free Motion. However, Rip 60 does not have it’s own website. Without a home and sales page, there is a lot of room for concern. If this program were well established and successful wouldn’t they have a website for it? To see how well this program works, you as the consumer would have a lot of research to do? Fear not, I have done it for you. Rip 60 comes with DVD’s, a nutritional guide, and cords to attach to a door-frame for at home workouts. Keep in mind these cords are not designed to support anyone over 300 pounds. Some of you may be under this weight, but others may not be. If you are not under 300 pounds, you must stop right here because unfortunately this particular exercise program does not have a solution for you (or any of us for that matter). This program is normally sold for about $120 or online at Walmart for about $72. After purchasing this main package, there are other pieces of equipment that can be pricey and mandatory in order to perform some of the workouts properly, which can add up of course. They offer a 90-day limited warranty, but it is vague as to if that is only offered on Amazon and what it even entails (Something a website and some support could alleviate). The workouts that make up this program are predominantly high intensity workouts. For many of us looking for a new diet, we are not looking to jump right into high intensity exercises so this may not be the best if you are a beginner to this whole change of lifestyle deal. Also another thing to be aware of is that there are professionals such as Jillian Michaels and other in-shape figures that are you leading you in the workouts on their own without others just like you on the screen. For some this may be “fitspiration” and for others it may be unrealistic and discouraging. Whether you find this inspiring or not, the bottom line is that Rip 60 does not meet the simple qualifications to be a recommendable diet and program. As we can see by the name of the plan, Rip 60 claims to have your body completely made over in the short time frame of 60 days. If you are eating healthy and participating in high intensity workouts daily, you are bound to shed some pounds. Although, long-term success is far from guaranteed. With that in mind, there are precautions to be aware of. The first is that this program only lasts for 60 days so the results are short term, rather than a full on lifestyle change. Sure, they provide you with a 60-day nutrition guide. But again, what happens when those two months end? In undergoing programs that will truly work for a long lasting period of time it is important to look for sustainable programs. The easiest determinant of a sustainable program is if they offer follow up guides, nutrition plans, workouts, and customer support. This will allow you to carry out a full on lifestyle change at your own pace and in a manner that your body allows for. Believe it or not you will not follow a high intensity workout and bland 60-day nutrition guide over and over for the rest of your life. However, if you have the tools to form the proper habits, you have much greater chances of success. Unfortunately, these tools are not provided with this program in particular. Does Rip 60 Have Scientific Backing? There is very little background information on the program. It has been endorsed by Jillian Michaels, the Star trainer of the Biggest Loser, which has been enough to persuade many individuals to take on the challenge, but it is not enough to persuade me. Without any scientific proof or research provided, who’s to say the foods they are telling you to eat, the portions they provide, and the types of workouts they say to take part in are the best for you? Is Rip 60 Effective in Weight Loss? As mentioned earlier, it is much more difficult for this program to be effective if the client has not had prior exercise routines. A high intensity workout can be difficult to just jump into. The other issue that may diminish the effectiveness is the nutrition plan. The meals that they recommend are foods that are very low in calories and are not tailored in a way that can be applied to a variety of eating habits. In other words, they do not give you many options depending on what type of eater you are. If you are a picky eater or have certain allergies, it will be difficult for you to follow such a plan. The food you eat plays a large role in the amount of pounds you will shed. Without customer support how will you know which replacement ingredients will be beneficial or not? Another issue when it comes to the success of this program is the time frame allotted for this program. It is not designed to help you long-term. Rather, it is a 60 day plan to supposedly get you there quickly, but after those 60 days are over you will not have created a realistic routine for yourself to carry out for the long term. Plans have been seen to be effective for those that already have a pretty strict diet and workout routine and are just trying to amp their habits to the next level. For those of you that are just getting started, this diet plan is not effective. This is most definitely not the diet for you if you are looking to make significant changes to your lifestyle for good. On the other hand, those that just are looking for something to step up what you already have going, I would still advise that you be aware of the lack of support available with the purchase of this program. What are Rip 60 Side Effects? The negative side effects to be aware of could derive from overworking yourself and pushing your body beyond it’s limits if you are not used to working out. The other negative side effects would be the way your body reacts to following a low calorie and restrictive diet. Restrictive diets are not only difficult to sustain but there is also no scientific proof to the diets they provide you with. Therefore, how can you be so sure that it is the best nutrition for your body and future health? There is no support for this product in particular. Depending on where you purchase this product there may be a general phone number, such as Walmart. As far as a specialist for the product, there is no information given. Once you make the purchase it is up to you to hold yourself accountable and follow the food guide and videos. There is a Facebook page that offers other exercise tips and updates, as well as a Twitter page with giveaways and such. Although there is not any phone or email support to go along with the program, the return policies and money back guarantee are all based off of which platform you make your purchase. The terms and conditions for purchasing the product off of Walmart.com may differ entirely than making the purchase off of Amazon.com. While there is not necessarily a money back guarantee, there is a 90 day limited warranty available for the program. Whether the details on the warranty are only available upon placing an order or from the retailer itself, there is no straight-forward explanation. It is mentioned on the description of the product on Amazon that a warranty is available, but no further details. The problem that arises here is that sure there may be a warranty on the equipment, but most people undergoing such a change need support, guidance, and assurance. With no provided direct email, phone number, or community forum, this support is unachievable. Rip 60 is an at home workout that claims to have you ripped and in your best shape in a quick 60 days. As we can conclude from my research, there is hardly and scientific proof other than the obvious and very little support so you must be very committed and self-disciplined in order to see results of any kind. If you are looking for a program to kick-start your weight loss journey, a program like this is not what you are looking for. On the other hand if you are in pretty good shape and already participate in a consistent workout routine, this may be an option, but hopefully you are fine with being on your own and not seeking any guidance. Overall, a program such as Rip 60 is not sustainable and does not provide enough information for us to recognize it as a reputable program. Instead, we advise that you seek a program that is certain to help you lose muscle tenderness, bloating, unwanted pounds, and leave you feeling energized! “Does Rip:60 Really Work?” Does It Really Work. Web. “Rip 60 Diet Review.” Weight Loss and Healthy Eating Resource. Web. 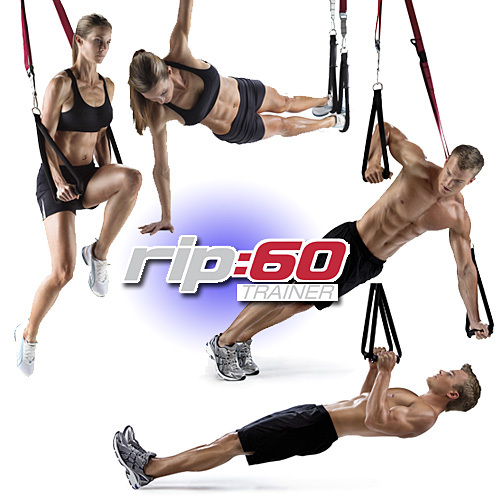 “RIP:60 Suspended Rotation Trainer.” HF Industries – Commercial Fitness and Wellness Supplier. Web. “Rip:60 Training Kit.” Walmart.com. Web. Provida Life Sciences is a corporation that offers several supplements and diet programs that claim to help you lose weight. Do not let the sciences fool you, let's take a look at what they really bring to the table. Provida Life Sciences is a corporation that oversees a few brands that provide consumers with different types of weight loss programs said to fit their individual lifestyle. Provida Life Sciences is an online corporation that has several fitness and nutrition products on the market. This variety of products includes programs, DVD’s, cookbooks, supplements, and more. Their ultimate focus is supposedly on the health of the consumer and their families. Provida’s brands have dimmed down into the main Food Lovers Fat Loss System and Food Lovers Fat Loss System Online. Aside from these programs, they offer several supplements and books to attempt to aid in exercise and weight loss. Since there are several avenues for the consumer to test out, it is tough to guarantee success. For example, the first program they offer is known as “Food Lovers Fat Loss System”, this is geared toward clients that are not looking for a restrictive diet, but instead learning how to eat their favorite foods in the proper portions and ratios. Understanding portion sizes is important, but that is just one small factor of what it takes to be successful in making a change in your life. Do you need to pay just about $140 to understand the proper portion sizes? We think most definitely not. It is going to take a lot more than a simple portions guide to make a long lasting change. Just a quick reminder that the foods you consume, DO indeed matter and if you are eating small portions of unhealthy foods, you are not helping yourself or your health in the future. Provida claims that their products “will work”. They do offer a 100% Money Back Guarantee for any customers that do not benefit from their products. A claim that they make is that their products will create dramatic results for families with the use of their products. This is a very vague claim. Of course, reducing intake and portions sizes will make for a change, so will adding supplements to your diet. But what kind of changes effect the whole family? Unfortunately there is no scientific backing or proof which leads us to think that this may just be puffery. Lastly, they pride themselves on their practicality. In their promise of success they mention that their practical programs are far more effective than any other fat loss programs such as those fad diets and starvation methods. This is quite a claim. Who’s to say some customers may not feel like they are starving when following these strict portions? After making such a statement, you would assume that they would provide some scientific proof on the website backing up the claim that they are more effective than any other fat loss program. Does Provida Have Scientific Backing? Overall, there are no peer reviewed scientific articles to prove that these products work. For us, this means that there is simply not enough to believe that this product is worth purchasing. 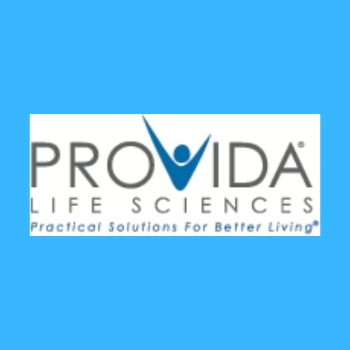 Depending on which product you decide to go with from Provida Life Sciences, the extent of scientific backing differs. For example, the DVDs do not have any given scientific backing. On the other hand, the supplements claim that they have “researched ingredients” but do not provide sources or proof on the website. This raises the question of whether or not the makers are using puffery to their advantage or have simply left out a critical portion of proof for some odd reason. Is Provida Effective in Weight Loss? Provida has quite a few different products, some of the products are sold by themselves such as the supplements, and then the others in the form of programs. The most effective diets have a balance of nutrition and exercise that they hold you accountable to. That being said, what Provida has to offer does not necessarily put everything into play. They sell a plethora of products but just expect you to put it all into proper routine on your own. This is not what you are looking for. Sure if you buy a supplement here, try this workout there, and eat small amounts of food, there is a chance you’ll come up with the right mix, but that is not ideal. First of all there is no guarantee that any of their products are scientifically engineered for success. Second, why waste time and money trying to come up with the right formula and entrusting a brand with no customer support and lack of scientific evidence, when you can find your solution in another program? Further there are two different web pages for their “Food Lovers Fat Loss System”. Depending on where you access the page from, with completely different designs, this raises quite a bit of confusion as to whether or not this product is faulty and even further if it is effective in anyway whatsoever? What are Provida's Side Effects? There are not any explicit side effects that they warn you of prior to consuming their supplements or participating in their plans. In looking at the products that they have advertised on their website. The anxiety and mood boosting pills by the name of Symetrin, raise concern. Most often times pills that have these abilities are prescribed by a doctor. Although they claim that they are non-addictive and can be taken daily, it is always best to run it by a physician first. Naturally there are side effects with taking medications that should be forewarned to customers, but are not in this case. Other side effects that could arise would be fatigue or headaches when altering your diet so drastically as certain plans or slimming supplements from Provida call for. This is natural, but a disclaimer should be provided for those of you that are unfamiliar with participating in such programs. Provida Life Sciences fools you with their phony supportive community. When it comes to the customer and any questions you have regarding the product or further information, you are provided with a support email [email protected] as well as a “customer care and corporate offices” phone number -(877) 776-8432-. I was very caught off guard by Provida and their “customer support” phone line that they provided. After calling this number, it went to an automated response asking if I were 50 years or older. Then once you click that option, you must take part in a survey with a chance to win a cruise. I am sorry, but I am looking for answers regarding my new purchase or interest in the diet, not a free cruise? After the survey, they say “Thank You for participating and Goodbye”. I tried calling back, and the automated response says “this phone number can no longer be dialed from your area. This is the phone number given on the Provida website itself. Not even one of their specialized products. This just screams scam. This is faulty support and extremely unprofessional. You can bet that you will not receive any responses or feedback on inquiries you may have. How are you going to make a lifestyle change with support like that? How are you going to make sure that you get that money back guarantee? Provida Life Sciences is a corporation that does not hold true to it’s name. Do not let the “sciences” fool you. This corporation oversees a number of supplements, products, and diet programs. None of which are backed by scientific proof or research. Their lack of customer service when it came down to picking up the phone and giving them a call for more insight was alarming. Lastly, there is no full on step-by-step program to guarantee you with success on your journey. With a plethora of random products how are you so sure as to which ones to spend your time and money on? With that in mind, we do not recommend Provida and their programs. We advise you to look into another option that is guaranteed to leave you energized, help you shed unwanted pounds, and overall health. “Feel Like Smiling Again.” Symetrin. “TryFoodLovers | Try Food Lovers Fat Loss System Diet.” TryFoodLovers | Try Food Lovers Fat Loss System Diet. Web. “6weekbody.” Michael Thurmond S Six Week Body Makeover®. Web. Whole30 is a diet that claims to provide your body with a fresh restart after eliminating multiple foods groups for a strict 30 days. Does not seem so wholesome to me. Let's take a look at whether or not elimination diets really do have our best health in store. Whole30 is a program in which men and women of all ages follow a diet that is supposedly “wholesome” for a consecutive 30 days. Must say, putting a month into a program seems like much more of a commitment than the week-long fad diets that some are willing to purchase. The Whole30 program is a 30-day plan that was created by Dallas and Melissa Hartwig in 2009. In their autobiographies they both claim to be Certified Sports Nutritionists. However, where did they achieve these certifications? Did they simply have to pay an online certification fee or did they go through extensive credible courses? This is a program in which you eliminate several of the most common food groups and ingredients in hopes of giving your body a chance to restart. Elimination diets tend to raise a lot of skepticism. Our bodies function to their full potential when we consume the proper nutrients and uphold a balanced diet. Entirely cutting out food groups such as dairy, grains, and legumes does not create balance, instead in many cases it can create a depletion of critical nutrients. The Whole30 program hit the market as a book by the name of The Whole30: The 30 Day Guide to Total Health and Food Freedom that is priced at about $30 and is sold all over the web. Aside from the book, there are several PDF’s and downloads available to anyone interested on Whole30.com. In following the Whole30 diet program, the founders claim that you will cut cravings, change the way you think about food, change your habits, etc. They also claim that it can largely affect your health in a beneficial manner. There are stories featured on the website in which there is some truth behind these claims. However, if you do not fully follow the 30 days of elimination then their claims do not hold true and they make you very aware of that. You might as well have just not even started it at all. In order for your body to fully be restarted in the way that this is supposed to be designed to help you do, you are forbidden to get off track. Even a bite of something that is not permitted will have you back at Day 1 of this month long challenge. Do we really want to spend an entire month depriving ourselves of common food categories that are not even scientifically proven to be of any harm to our bodies in the first place? Does Whole30 Have Scientific Backing? There is no scientific evidence to prove that an elimination diet or “modified paleo” diet is healthy for you. In taking a look at the testimonials featured on the site itself, you will come across a list of medical professionals and their comments on the program. If I can offer you any advice it would be to observe the backgrounds of these doctors and understand that their title does not automatically give them credibility to deem a program such as this, successful or not. Doctors from avenues of family practice all the way to a spinal surgeon may give the program a thumbs up, but they are not certified nutritionists or dietitians, therefore their word is just as reliable in this field as your very own. Aside from the absence of peer-reviewed articles and scientific backing on this program, the developers’ credentials themselves are questionable. As I mentioned earlier, both Melissa and Dallas Hartwig have a title as certified sports nutritionists. This is closer to what we are looking for when looking for credibility, but the certification has absolutely no meaning if we are not informed on where they allegedly achieved these certifications. Melissa Hartwig who is the head of Whole30 has her CISSN. This is a credential from the International Society of Sports Nutrition that can be obtained online by anyone looking to pursue expertise and give advice in sports exercise and nutrition (you can have a 4 year degree in a completely different subject and still be eligible). If you are anything like me, you are probably confused as to why this knowledge of sports medicine is so pertinent to a diet plan that is primarily focused on the foods you consume (because it is not relevant)… As a matter of fact, exercise does not even have a role in the Whole30 program. All in all, such certifications may be valid but they do not give this program the rational foundation and scientific backing that it should have. Naturally, if you begin to eliminate foods that contain unhealthy ingredients for a consecutive 30 days, your body will begin to shed pounds. You will lose weight as your body undergoes the cleansing process because you are forbidden to consume any foods that may cause the slightest effect on your body and it’s natural processes. But is it really necessary to remove an overwhelming amount of food categories (both healthy and unhealthy) to shed pounds? This program has been around for about 7 years now (amongst several similar programs) and there has yet to be a scientific study done that proves elimination diets to be effective. Don’t you think that if there was a sufficient amount of help rather than harm in participating in a routine like this we would have proven evidence? Clients that have tried this program and claim that it works may have found it effective due to the initial weight loss from the shock of being so restrictive and abruptly altering your eating habits. However, this effectiveness is very temporary and not even guaranteed. What are Whole30 Side Effects? “Now, however, I’m struggling with re-entry. It feels like every time I try a non-Whole30 food, I get bad stomach pain—the only food that hasn’t done this is rice. Kristin, Westchester, PA . This disadvantage is indeed a very daunting side effect. Unlike trying a food again for the first time in a while and having a weird reaction, developing an entire food group intolerance is at risk. As certified nutritionist, Keri Glassman, shares “I like people to be strict for four to seven days to give them a jump-start and reset the behaviors…But 30 days is a long time and can be very restrictive, especially if you have to start over.” That being said, why would you challenge yourself with such a concentrated diet for an entire thirty days to not even be certain that you will not endure more harm than help in the end? The Whole30 website offers support to their clients in a few ways. They specify that it is best to reach them at [email protected] for testimonials, having the Hartwigs come speak at an event, media inquiries, etc. However, if you are an individual seeking more information, they do not recommend that you use this address for your questions regarding the program because they get a large number of emails and may not return the personal inquiries in a timely manner (hey, at least they warn you). You click on the link that reads, “I need support during my Whole30” and they send you directly to a Google search engine (not a fan of this initial approach, it seems lazy). The next direction they send you in is to the forum in which there are moderators and a community of participants that raise concerns. If you do not find what you are looking for there, they recommend seeking support are their social media platforms such as Facebook, Twitter, and Instagram. Lastly, for more sensitive and personal questions there is a “Dear Melissa” page. This where clients can write their questions and concerns in a form, submit it to Melissa (the co-founder), and she will respond in a Newspaper column type of fashion. Take your pick with the offered support, but unfortunately they fail to provide a phone number, which is always my go-to! Whole30 is said to be a nutritional “reset” program to assist you in cutting out any bad or toxic foods and start anew. After in-depth research I have come to the conclusion that this program is too risky. Eliminating main food groups including any kind of sugar or artificial sugar, alcohol of any kind, grains, legumes, dairy, etc. for such an extensive period of time can be extremely harmful. Not only is it very challenging and impractical, but the minute you indulge in a bite of something that must be avoided or is not Whole30 approved, you must start all over or you will not reap the benefits this program claims to provide. After taking a closer look at the credentials and the lack of proven scientific studies behind the foundation of this program, it does not suffice. If you are looking to replenish your body, have youthful complexion and energy, rid your body of bloating, and ultimately kiss those unwanted pounds goodbye, I suggest you look into another program. “About Certification.” Institute for Functional Medicine. N.p., n.d. Web. Antonio, Jose, Marc Gann, Douglas Kalman, Frank Katch, Susan Kleiner, Richard Kreider, and Darryn Willoughby. “ISSN Roundtable: FAQs About the ISSN.”Journal of the International Society of Sports Nutrition. BioMed Central, 2005. Web. Cahn, Megan. “Why the Whole30 Diet Is Taking Over Instagram.” ELLE. N.p., 2014. Web. “Does the Whole30 Diet Really Work?” LiveScience. TechMedia Network, n.d. Web. “The Whole30® Program.” The Whole30 Program. Web. Oxycise! is a diet program that claims that all it takes is following their breathing exercises to lose weight. Is controlling your breathing really the key to weight loss? Oxycise! is a breathing exercise program that claims to help you lose weight and keep it off for the rest of your life. Oxycise! was created by a woman by the name of Jill Johnson. A woman that supposedly has a passion for assisting men and other women in their weight loss journeys, because she says she went through this very process herself. After several years of struggling with her weight fluctuation, keeping it off, and the various diet fads, she claims to have researched and developed the perfect solution. Unlike most diets, this program does not include any sort of supplements or intense workouts. Oxycise!, when it all comes down to it, is simply a breathing technique. If you are anything like me, you are probably extremely skeptical of this product. If it truly was as easy as following a certain breathing technique to make a life-changing alteration to your weight, why would the thousands upon thousands of weight loss products on the market even be a question? Oxycise! is a program that can be completely carried out for free in the comfort of your own home. According to the website, “Oxycise! is a simple, powerful diaphragmatic breathing technique combined with flexing and contracting of all muscle groups”. However, as we know everything has a price! In order to follow the “proper” breathing technique there is a set of DVD’s, Book, and a CD available for purchase for $39.95 (at an introductory discount), when usually it costs just under $60. The fact that this process is said to help you lose weight with something as natural and simplistic as oxygen, seems to good to be true. There are several claims made by the founder, Jill Johnson, herself. The first claim made is “you will learn exactly what to do to reach a healthy weight and maintain it for life”. (Oxycise.com) The words “for life” are quite a promise. Considering the fact that this program is based on breathing techniques, is it worth a whole $60 to $90 dollars to learn how to supposedly breathe yourself skinny? 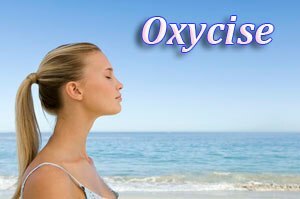 Another claim made is that “the inches fall off steadily and healthily in only 15 minutes a day with the power of oxygen.”(Oxycise.com) This claim is one that I found astounding. The “inches fall off steadily” part of the claim is pretty interesting since chances are if you are already in great shape (as many of the athlete testimonials prove), inches will not just be falling off. Is it really so that if you only have 5 pounds to lose, this exercise will help you to achieve just that? Same goes for if you have 50 pounds to lose? Following the amount of weight lost, the time seems pretty quick. It claims you will see a difference by just taking part in these techniques for 15 minutes a day. These claims are both unrealistic, and not easy to believe. “With Oxycise! you can get in shape without changing the way you eat.”(Oxycise.com) Unlike the last two claims that may have seemed a little farfetched at first, this claim is most definitely faulty. It is common knowledge that nutrition most definitely plays a role in weight gain and even further, health. If these breathing techniques are all that they are said to be, they still cannot disregard that fact that the foods you consume affect your shape and health. Does Oxycise! Have Scientific Backing? Well, right off the bat there is a line repeated on the homepage of the company website that reads “fat oxidizes into carbon dioxide”, hence the name Oxycise! The oxidation process is a natural process that occurs through the simple act of breathing. In taking deeps breaths and controlling your muscles, the fat is said to be released from your body in the form of carbon dioxide. After making such a statement, I was curious as to the scientific research that was noted to give it support. It turns out that there are several explanations featured on the website in the FAQ sections and such. Further, there are links and scientific findings from different Universities to back the claims that can be found on the “articles” webpage. At least this program has been around long enough to give us a sufficient amount of reviews and feedback. With positive feedback on the results of this product, it seems as though it may be effective to a certain extent. However, there were quite a few critical reviews about how outdated it was and that it was essentially a glorified yoga instruction. One even went to say she experienced gaining weight. Along with the critical reviews, there were positive reviews on the actual website itself. Whether they be for marketing use or honest testimonials, I do not want to fail to mention that they were indeed present. Keep in mind that many of the reviews pertained to the breathing techniques and introductory guides, but did not necessarily take into account the importance of eating well. Although a relatively healthy diet is promoted, it is not “required” by this program. Taking long-term effects into consideration, nutrition is the ultimate foundation for your body. No matter how effective the breathing and muscle movements may be, a balanced diet is vital to success in both weight loss and health itself. What are Oxycise! Side Effects? Considering the fact that this is a completely natural process, there are not any noted side effects. Keep in mind that this is a program to be followed for 15 minutes a day and is meant to eventually just become a part of your daily routine. We all are well aware the importance of breathing and how important it is for all of our internal organs, tissues, and blood cells to receive oxygen. That being said, there is not much negative that comes with paying an extra 15 minutes of attention a day to your breathing. As long as you take deep breaths and do not cause a shortage, you should be not come across any damage. Although this is important, it does not mean that spending this chunk of money to learn breathing exercises is guaranteed to have you lose weight or even show you something you don’t already do. Oxycise! offers a phone number- 1(800) OXYCISE- that can be reached at any point Monday through Friday, from 8 a.m. to 4:30 p.m. MST. They provide you with a support address: [email protected], as well as a “Contact Us” form in which you can fill out your info and submit an inquiry. There is a newsletter, media room, creative outlet, ambassador program, and Facebook page for Oxycise! customers to interact with. This provides the individual with different platforms to share their experiences with the product and possibly inspire others in the community. In the case that you are not content with your purchase, you are entitled to a full refund. In order to receive the refund (not including shipping and handling costs), you must return the product within 30 days of making the purchase. Oxycise! Is a natural weight loss program in which fat is supposedly released in the form of carbon dioxide simply through the “proper” breathing techniques that are taught in this Oxycise! program. This program claims to provide you with guides and tools to train yourself to take deep breaths and activate the proper muscle function to burn fat and shed unwanted pounds. Overall, they do provide information about the product development, research and findings, effectiveness, and creating customer engagement through several avenues of support which is something that many products on the market fail to do. Keep in mind that although this program hits a lot of the spots, it fails to require a balanced diet and may just be a glorified series of yoga stretches that is essentially not worth paying all of that money for. If you are looking to be guaranteed weight loss and energy I would recommend that you instead seek a program that provides you with all of the aspects necessary for success including a balanced diet and exercise routine. “Oxycise! › Customer Reviews.” Amazon.com: Customer Reviews: Oxycise! Web. “Oxycise! Health and Weight Loss Program.” Oxycise! Health and Weight Loss Program. Web. “Oxycise Lose Weight and Inches by Breathing.” Natural Health Techniques. Web.